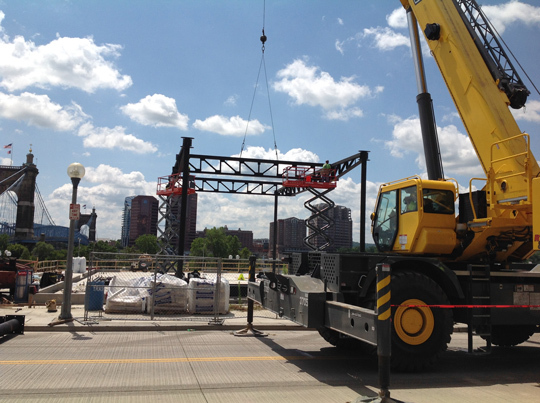 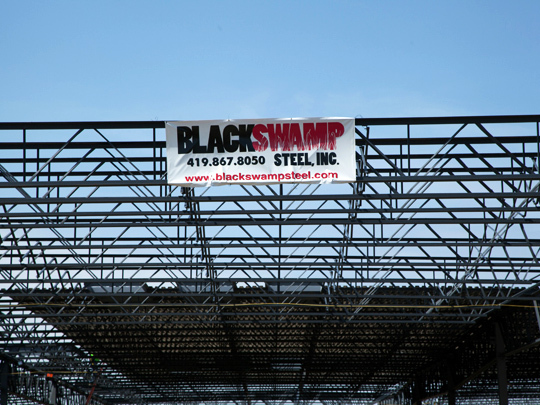 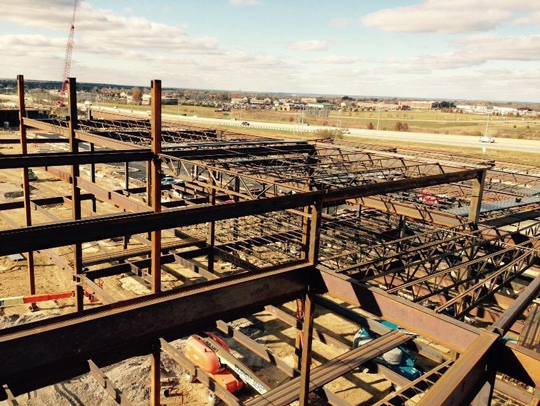 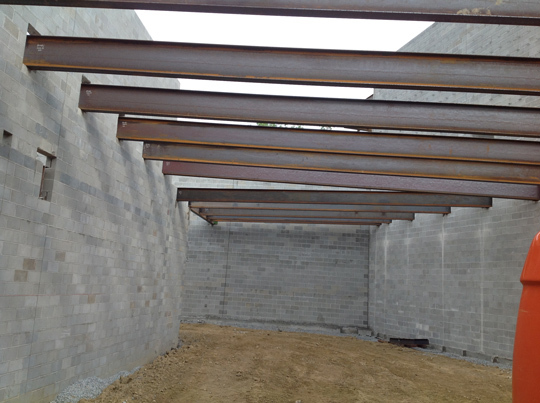 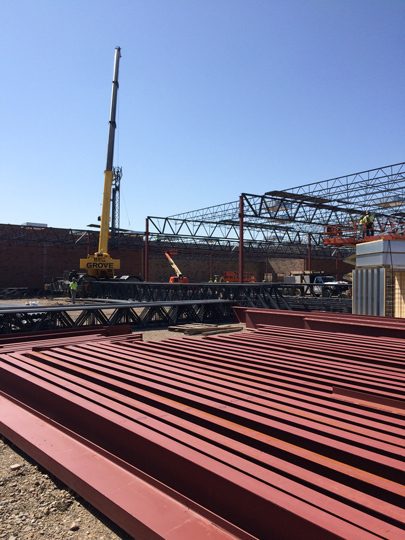 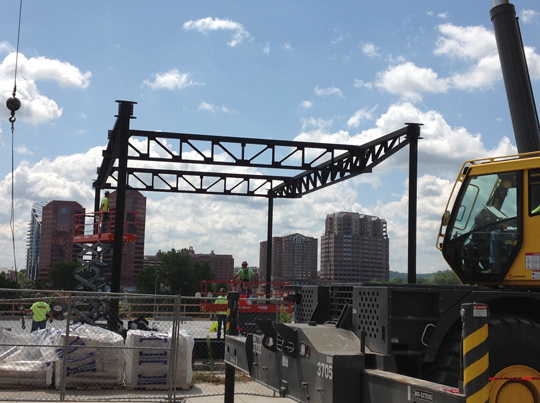 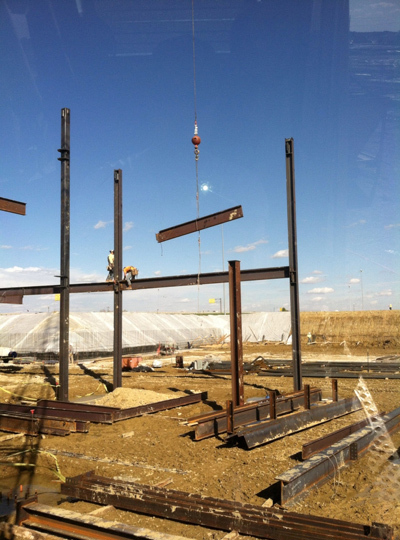 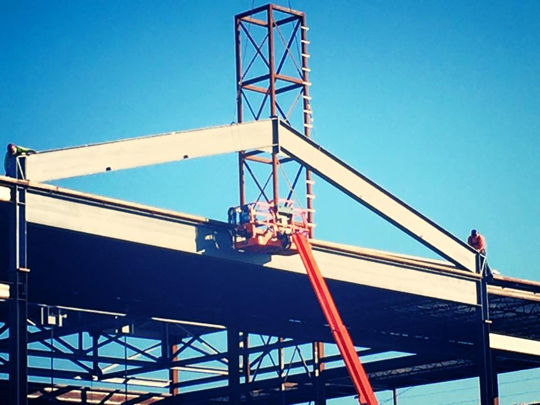 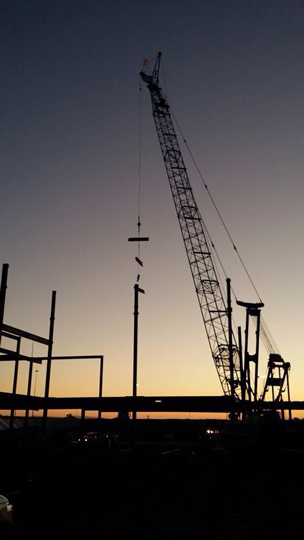 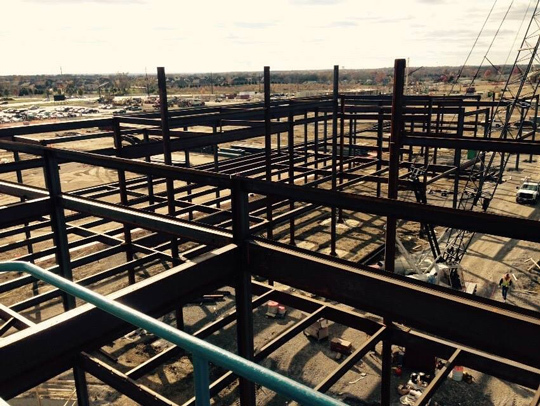 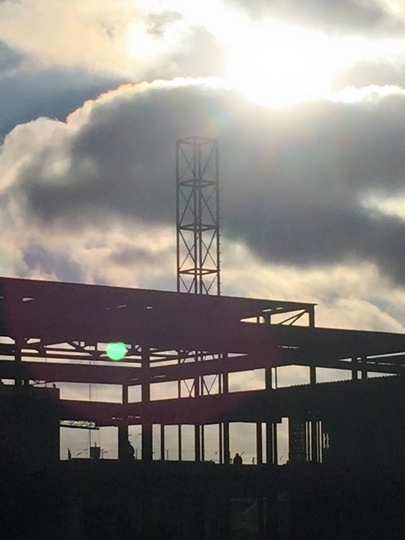 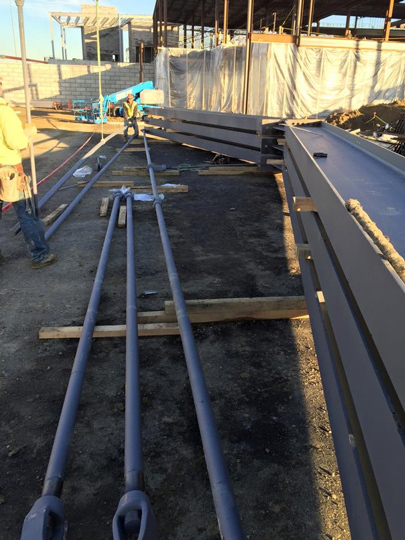 Black Swamp Steel, Inc. has the experience and manpower to handle all of your needs for the erection of structural steel, prefabricated metal buildings, ornamental iron, the installation of architectural and structural precast, and miscellaneous steel. 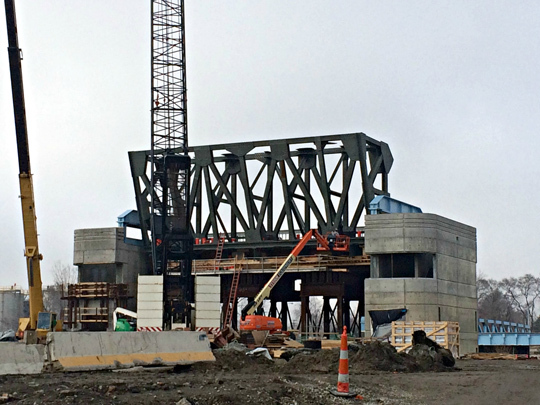 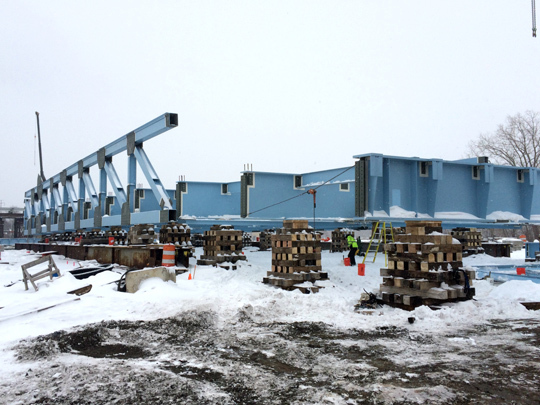 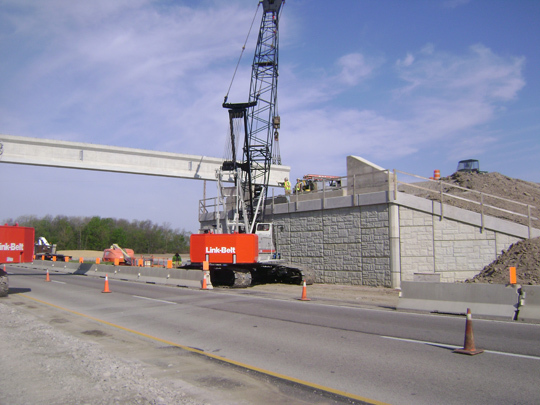 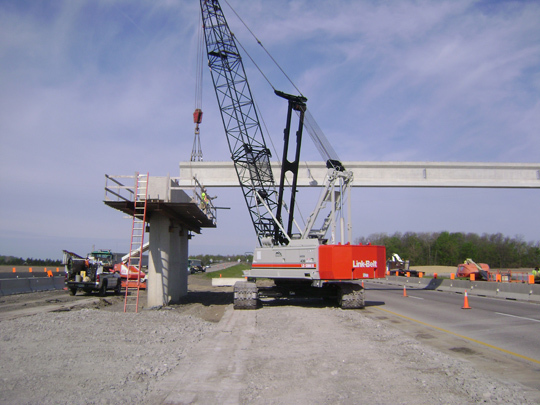 Project size can range from single story to multi-story structural steel, architectural precast to public work for the Department of Transportation (DOT). 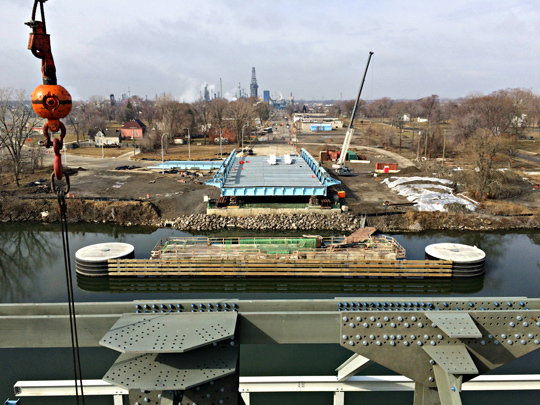 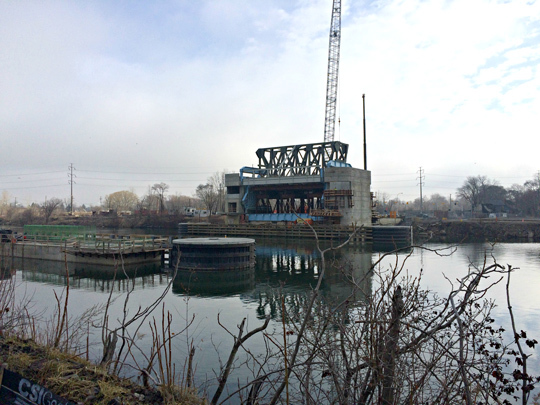 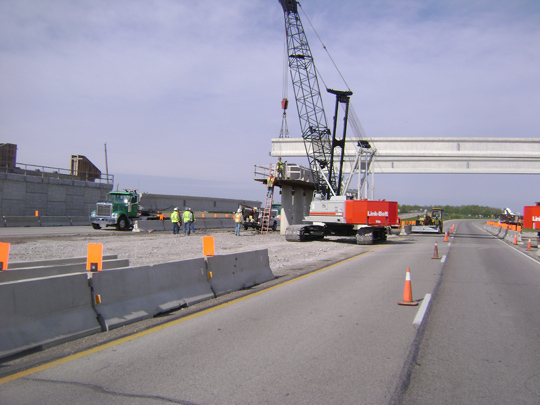 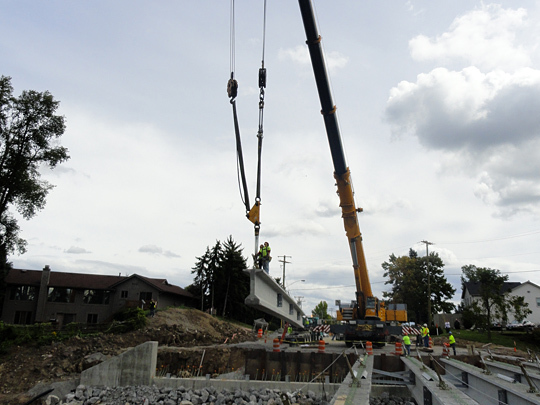 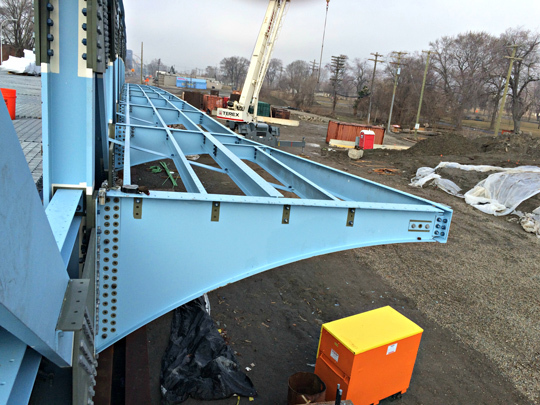 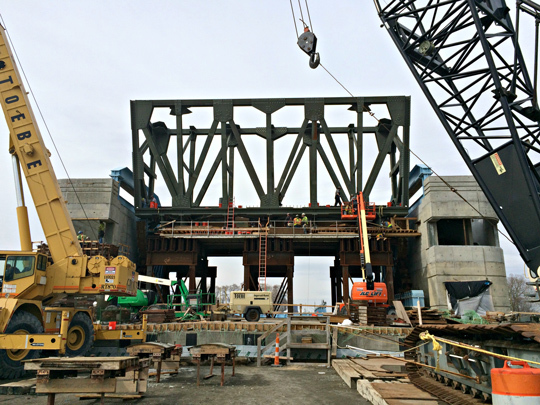 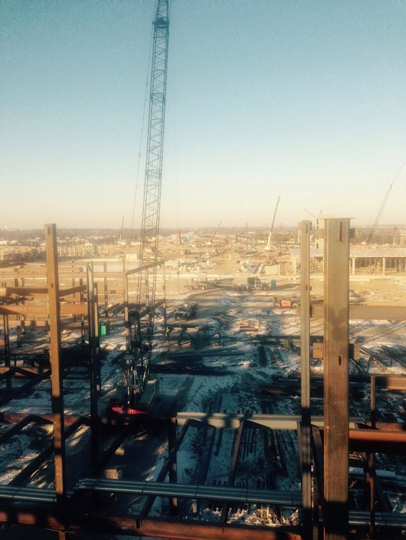 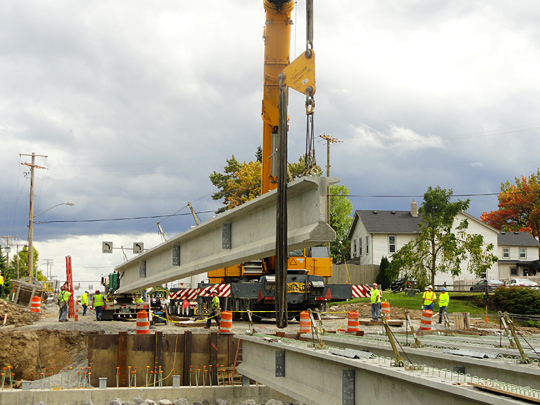 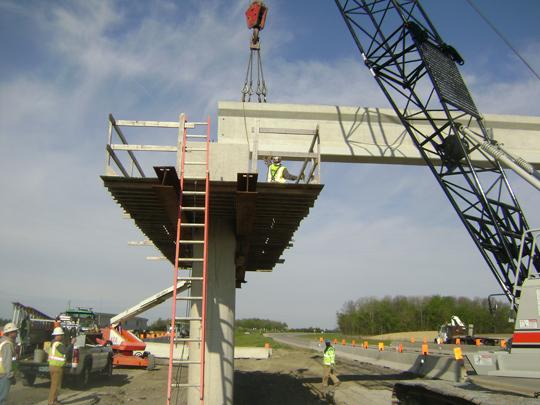 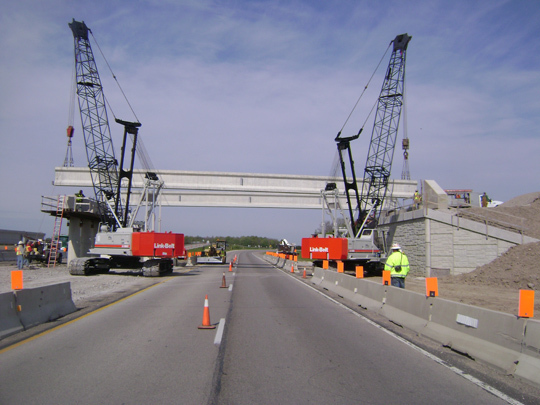 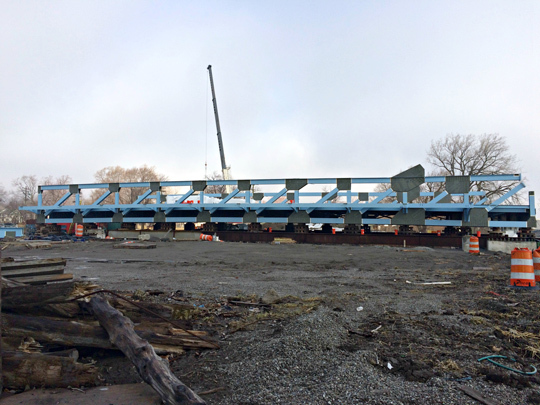 Projects include rigging and placement of precast or steel beams, metal decking joint replacement jacking and shoring for bearing replacement. 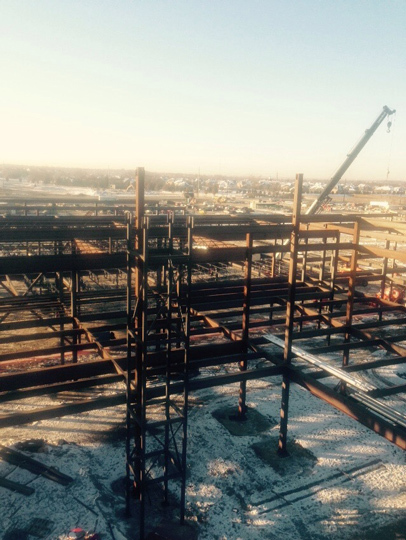 2500 ton project at the core of a 55 million mixed used development in Butler County. 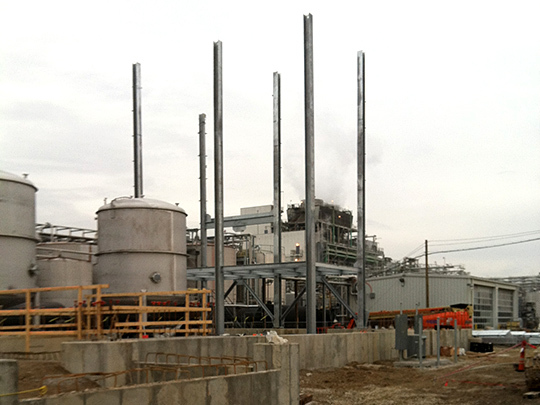 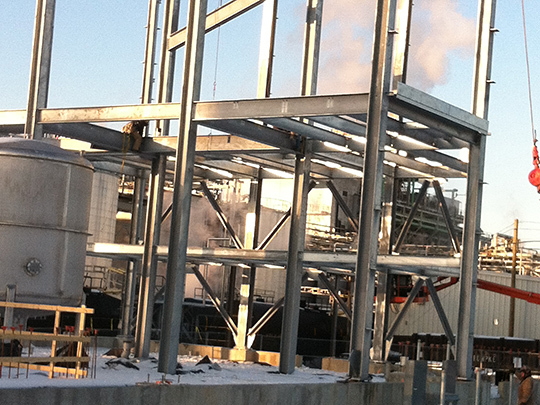 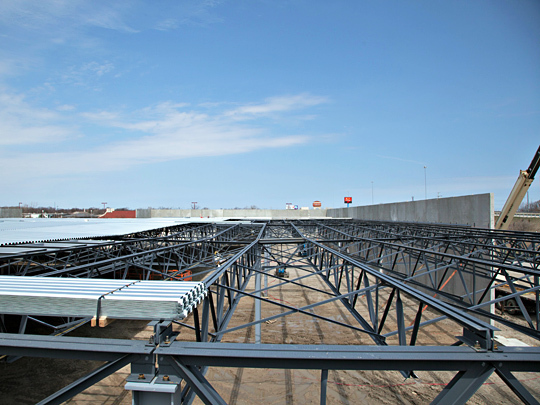 Black Swamp’s forces worked 7 days a week through a very tough winter to help ensure this project was delivered on time. 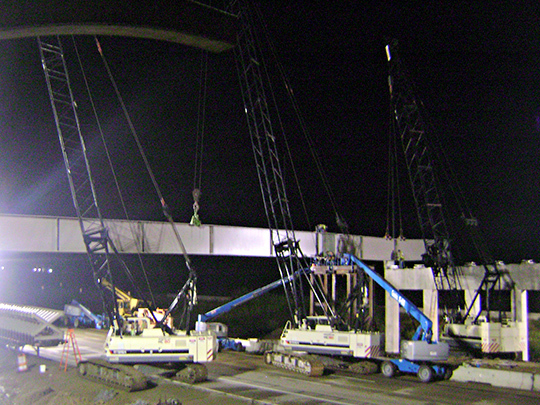 Our leadership in the field was an integral part of staying on top of the multiple design changes and added scope to deliver this project successfully. 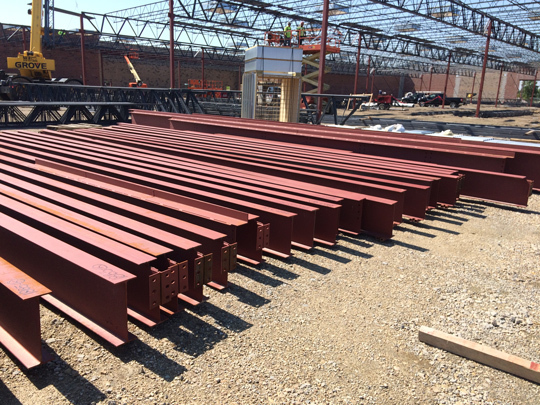 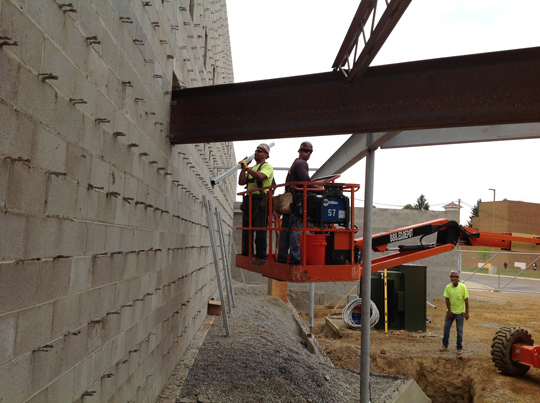 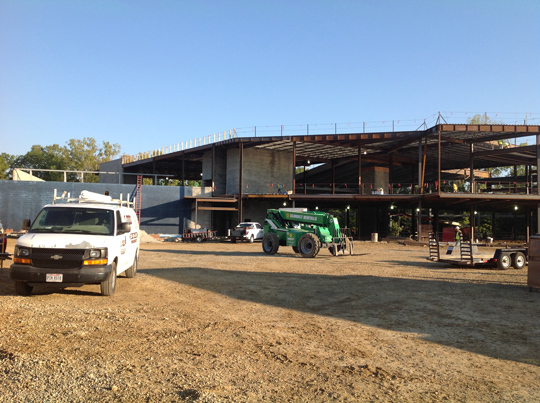 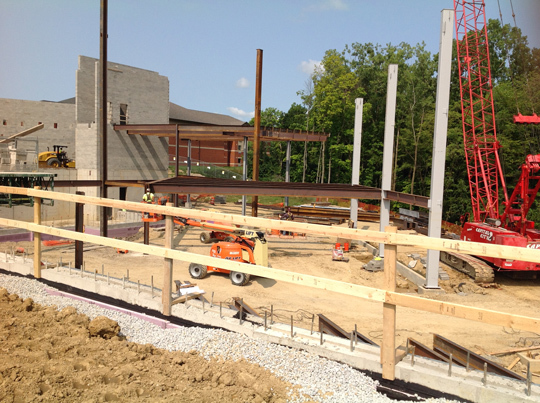 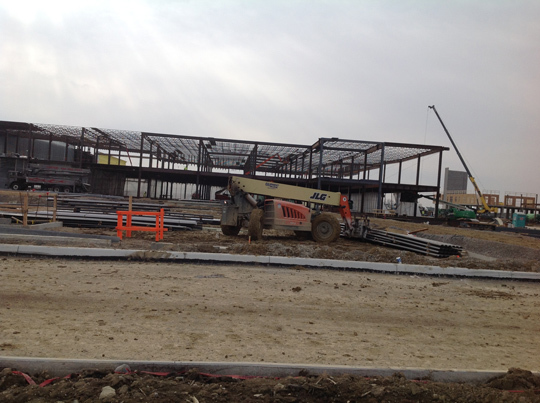 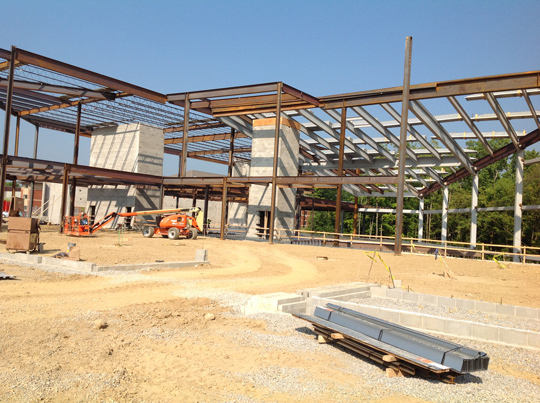 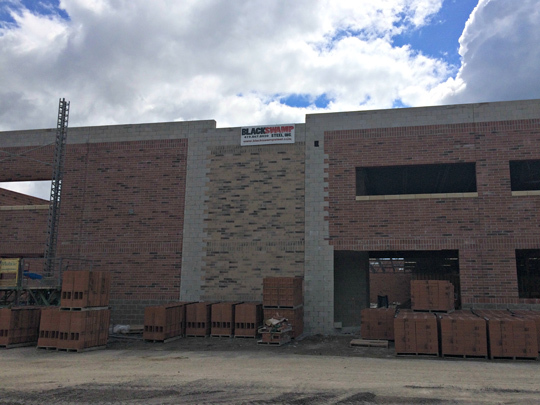 650 Ton School project in Wilberforce OH. 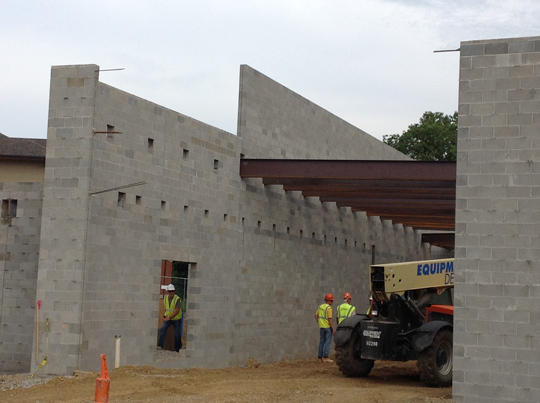 A complicated perimeter and project geometry made this project very labor intensive. 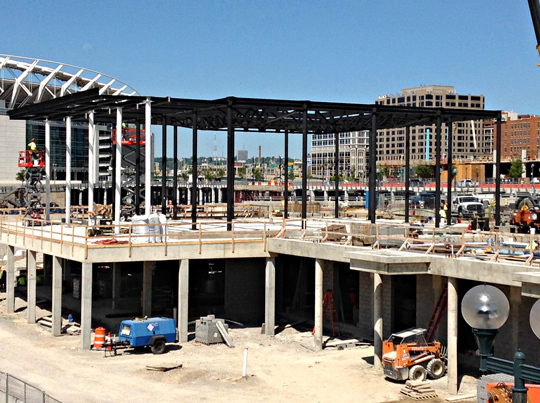 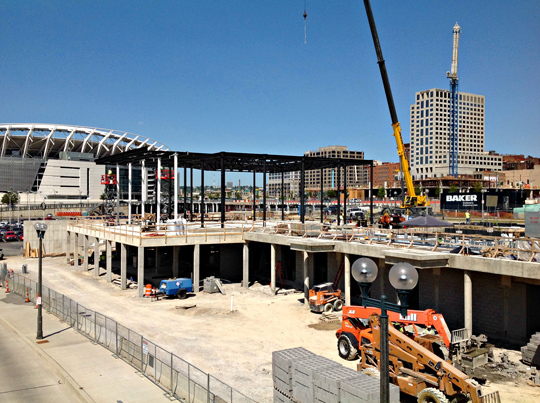 Architecturally exposed carousel addition in Smales Riverfront Park in the heart of downtown Cincinnati. 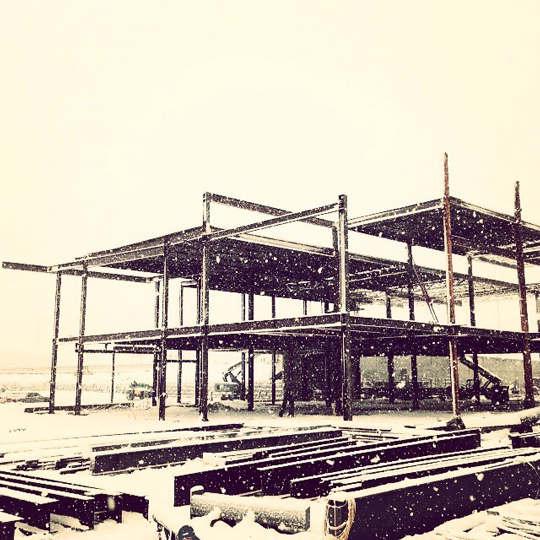 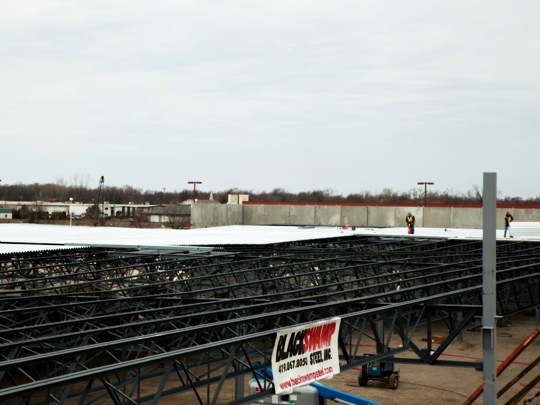 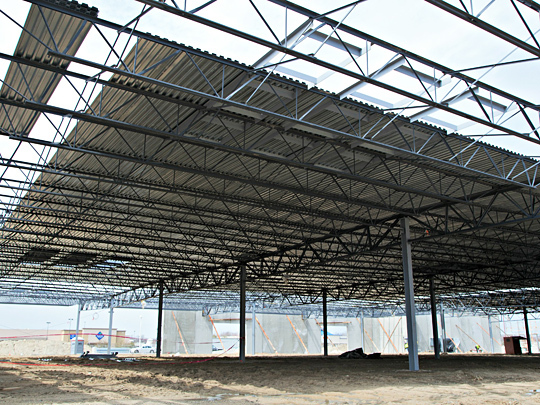 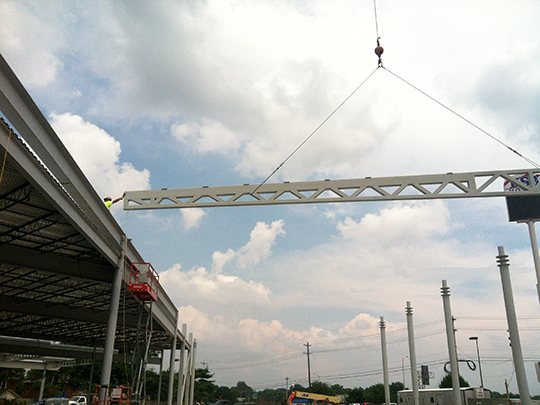 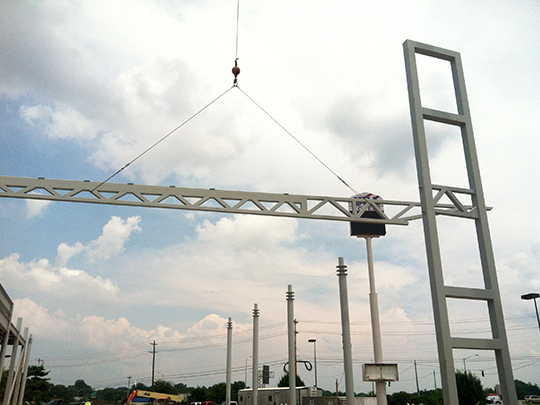 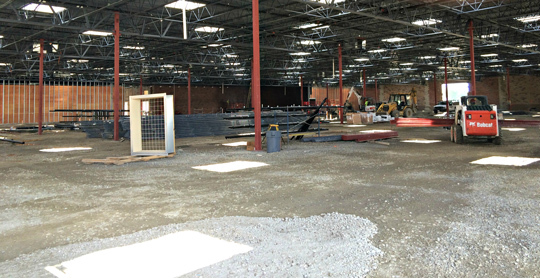 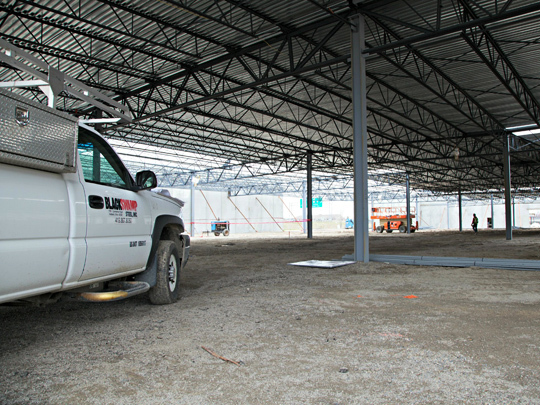 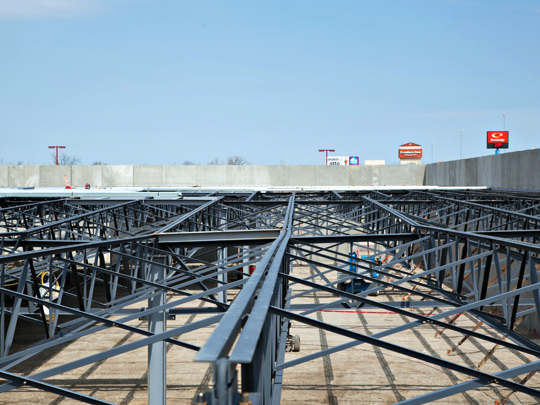 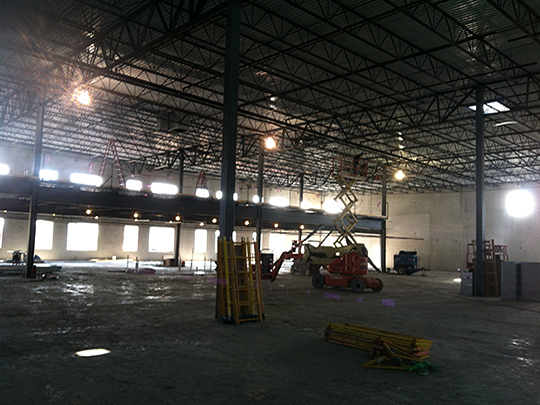 This project consisted of a 120,000 SF building with a 8,000 SF Mezzanine. 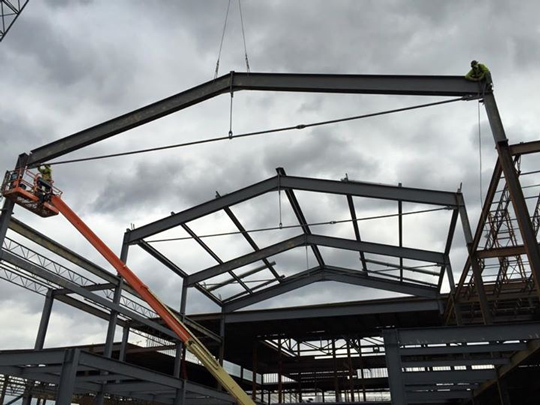 We preformed the Structural Steel Erection, Bar Joist Installation, Metal Decking, Canopies and Mezzanine with associated stairs. 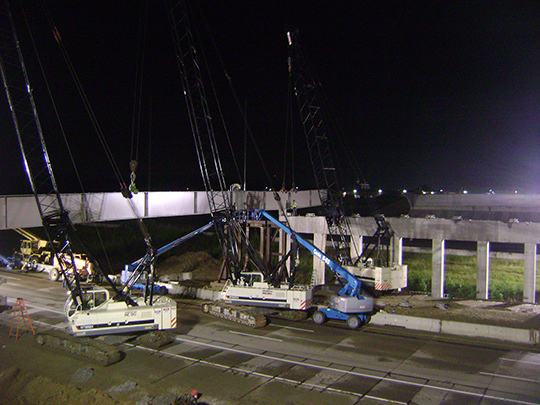 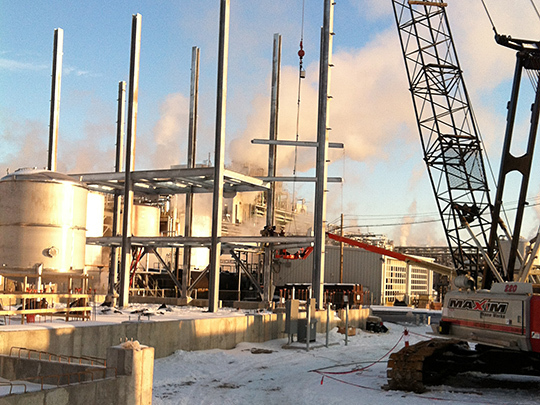 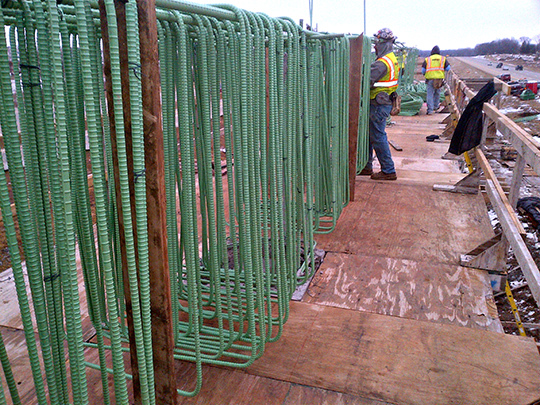 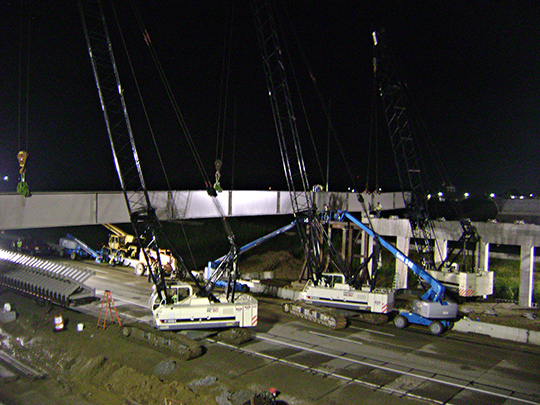 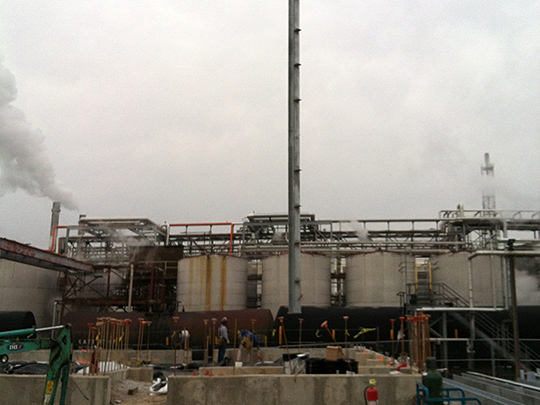 Completed our work ahead of schedule, while practicing proper safety techniques, keeping the project incident free. 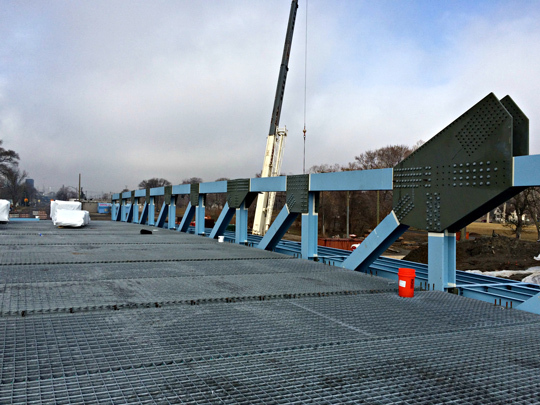 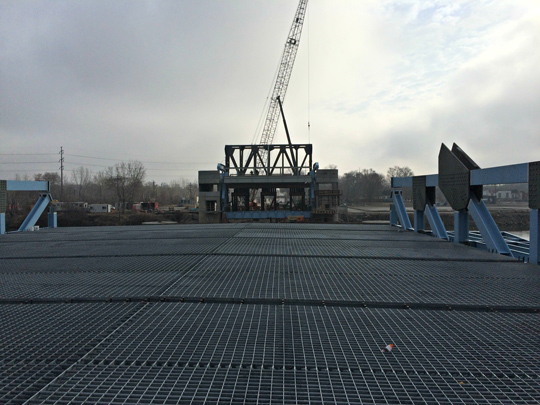 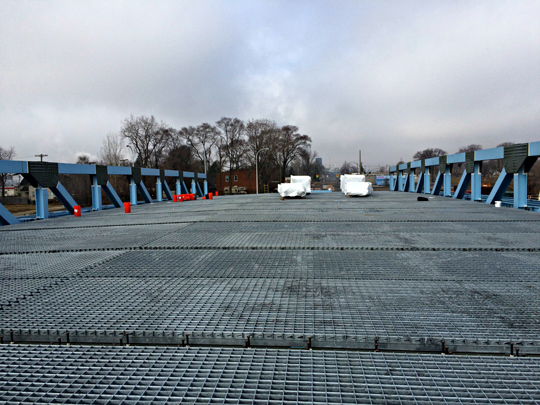 Construction of this new Draw Bridge, consists of over 1,300 Tons of Structural and Miscellaneous Steel, Handrail, Platforms and Grating. 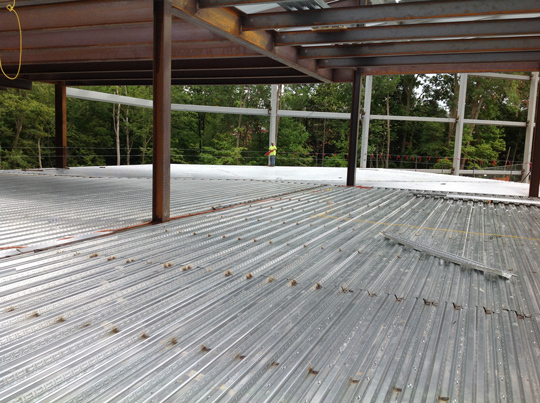 500 ton 8 story galvanized structural steel project, grating, deck, and stairs. 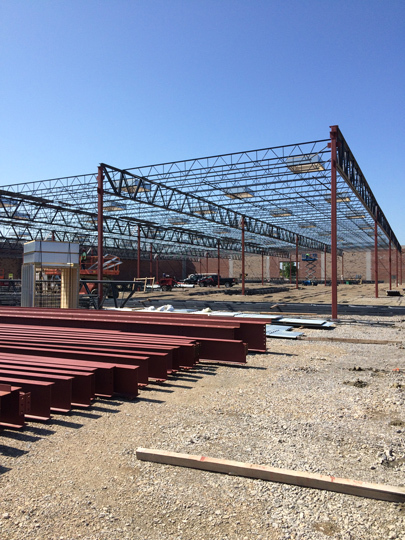 350Tons steel and joist, 55,000SF showroom featuring Architecturally exposed tube steel trusses and Epicore Deck, 90 ft. long span joist, in addition to standard beam and bar joist framing. 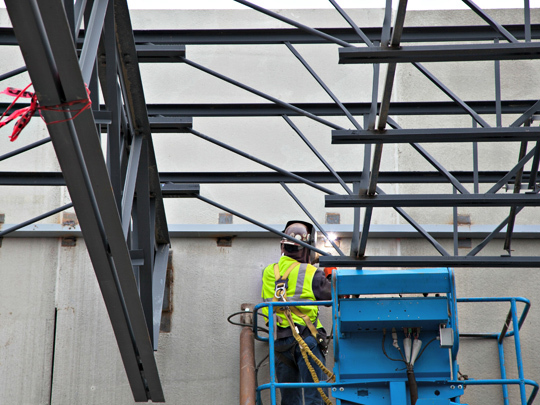 Although the schedule was very tight to accommodate our client and their owner’s occupancy, we were able to plan for and maintain that schedule while working concurrently with multiple trades in the same areas. 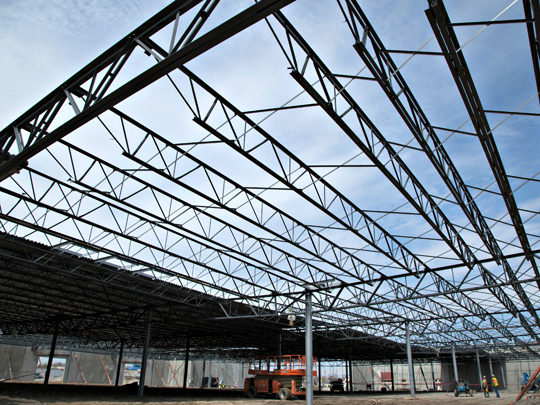 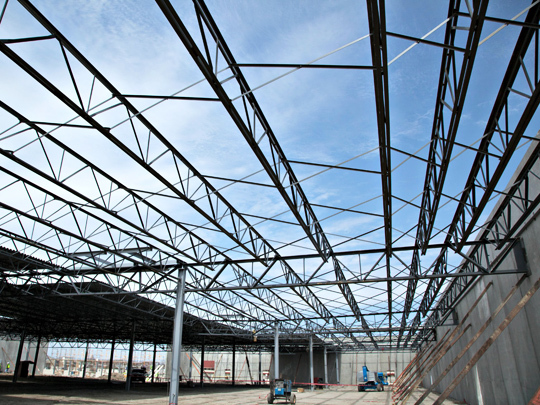 60,000 SF bar joist warehouse with 10,000 SF mezzanine. 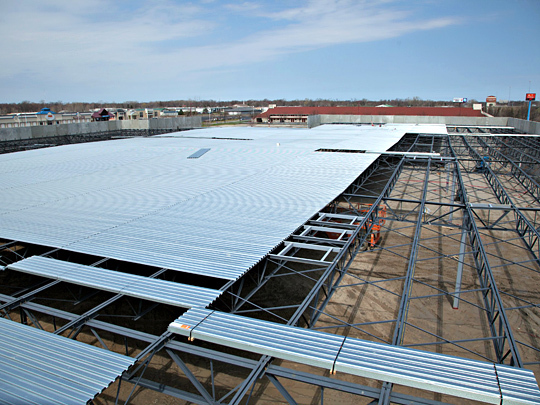 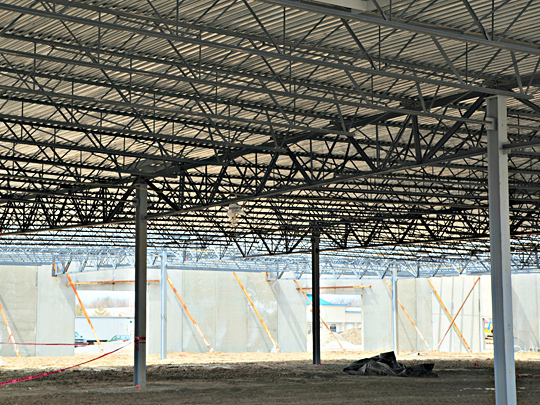 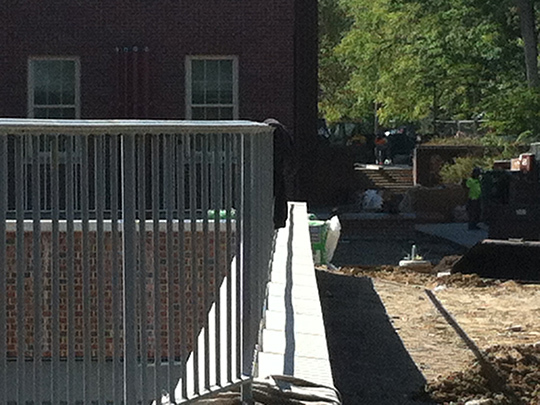 The mezzanine steel was added after the steel package was released. 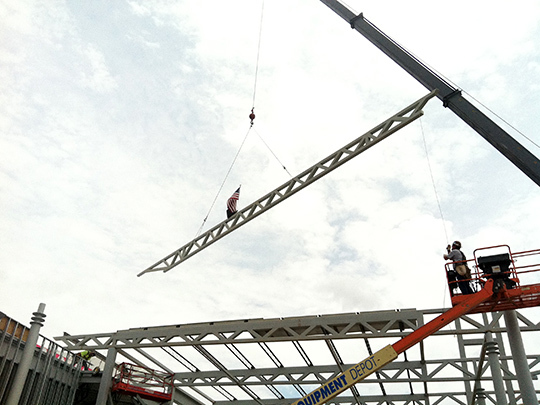 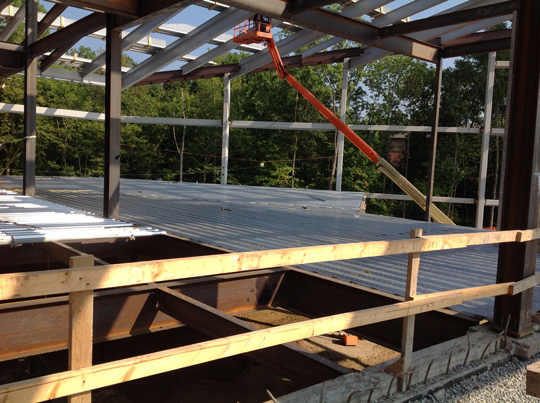 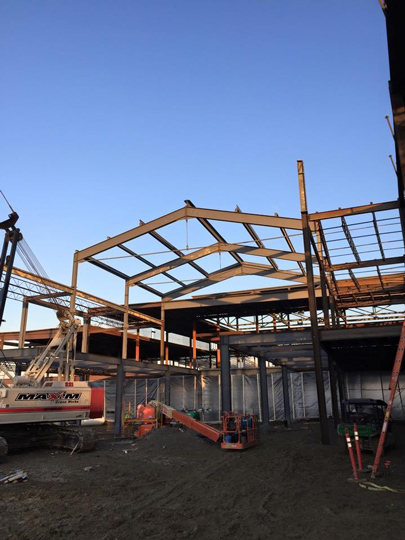 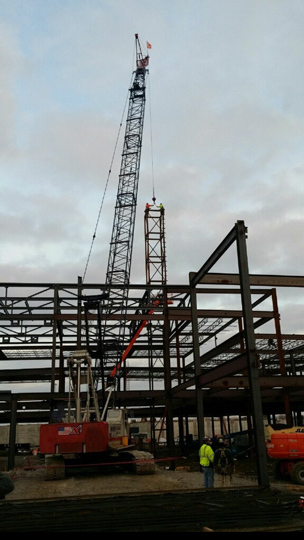 In order to maintain schedule and facilitate working safely out of lifts we installed the roof steel first, and installed the mezzanine steel from underneath the roof. 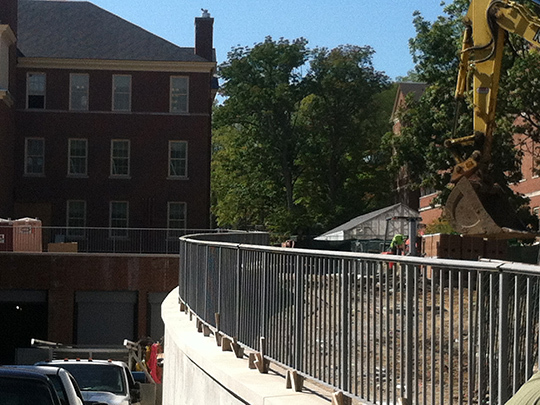 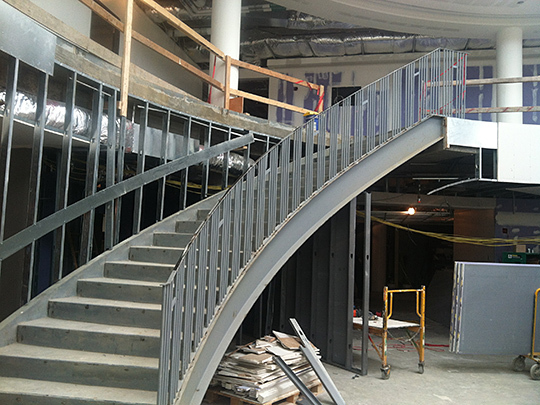 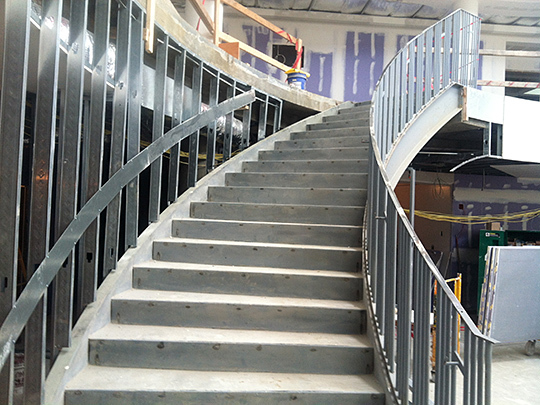 This project consisted of miscellaneous stairs, handrail, and auxiliary support framing installed after the main building was erected and dried in. 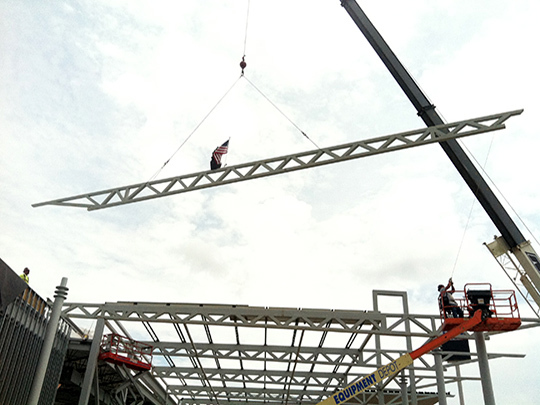 Care had to be taken working around finished product, glazing, and interior finishes, to rig and weld this framing into place. 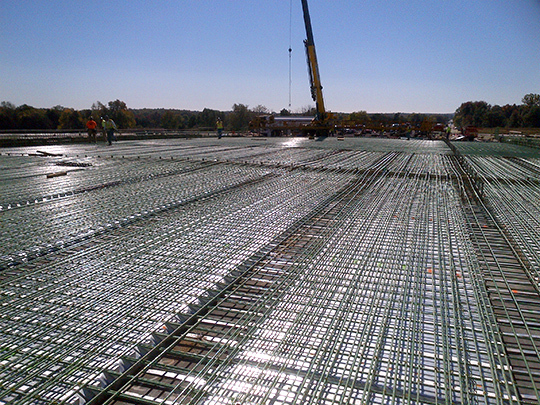 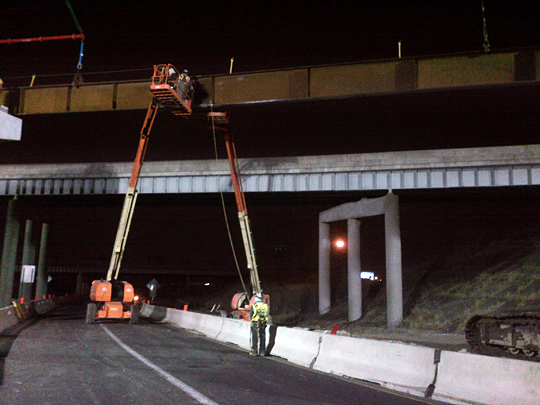 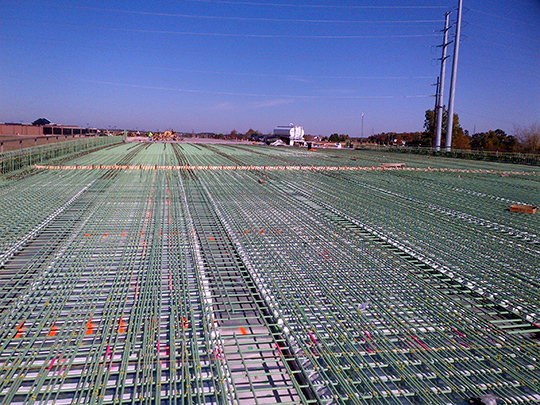 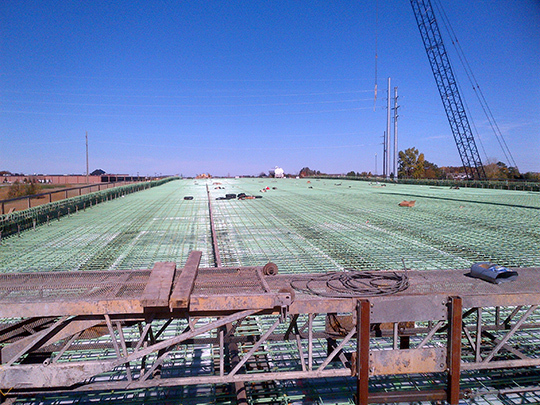 The I-475 Bridge Rehabilitation project, contains over 1,900 tons of Epoxy Coated Rebar and 550,000 lbs of Structural Steel, and will take 3 years to complete. 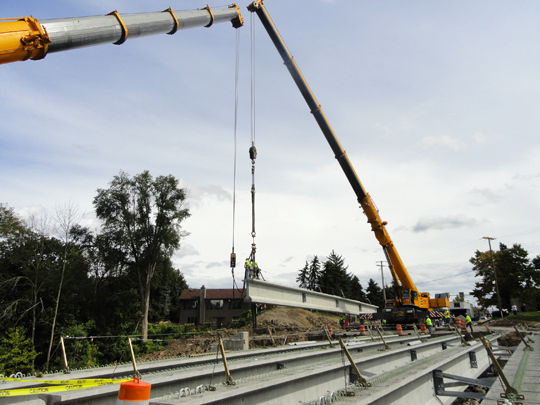 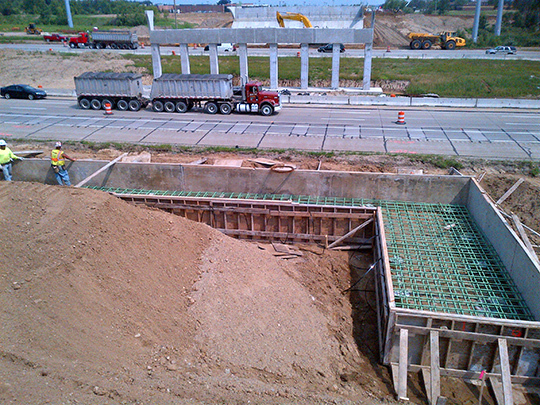 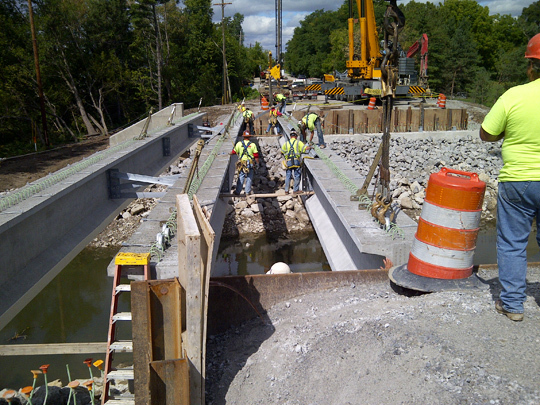 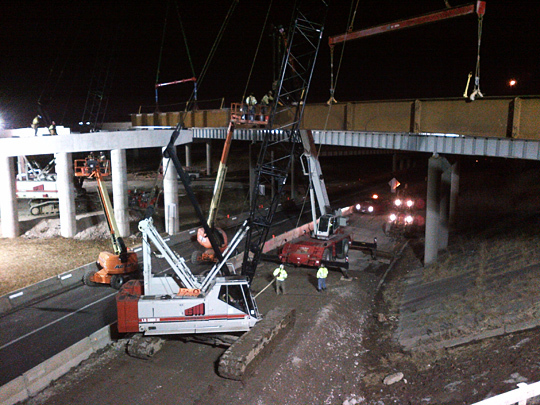 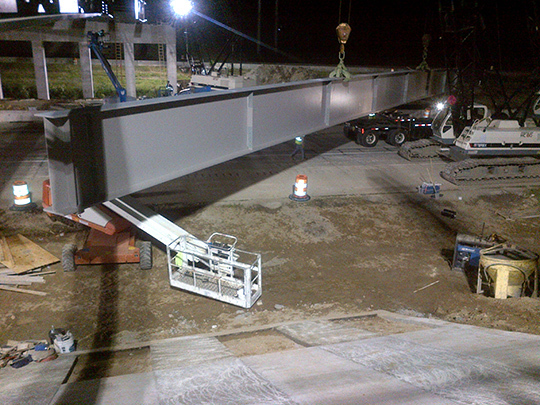 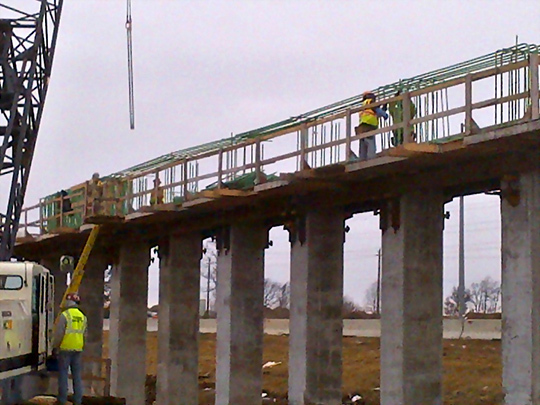 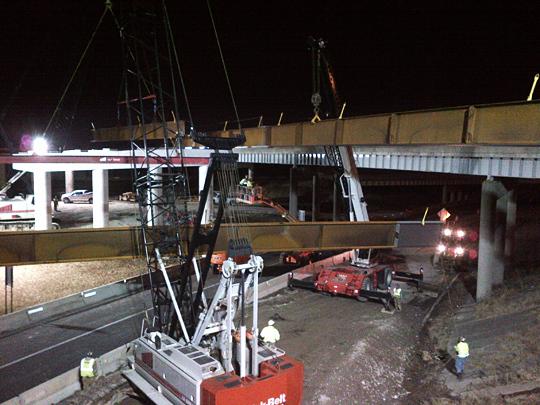 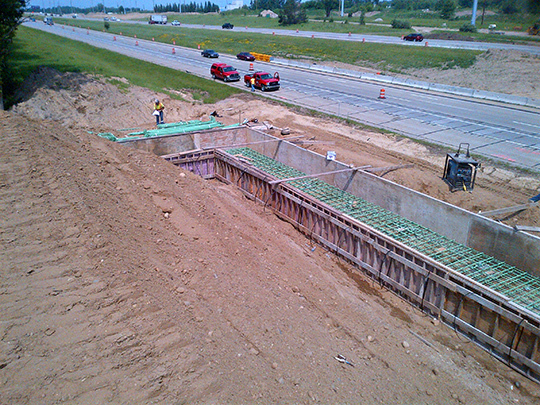 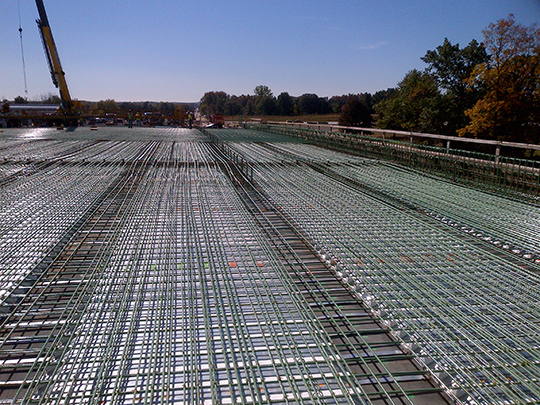 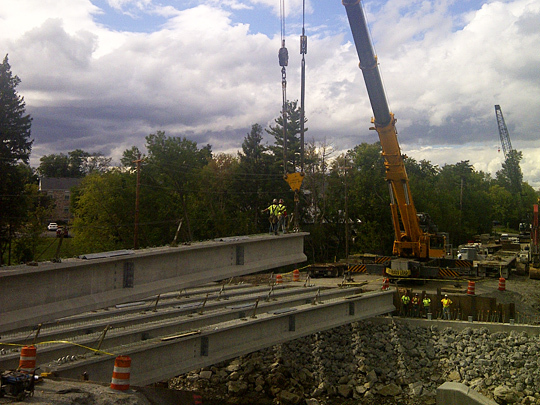 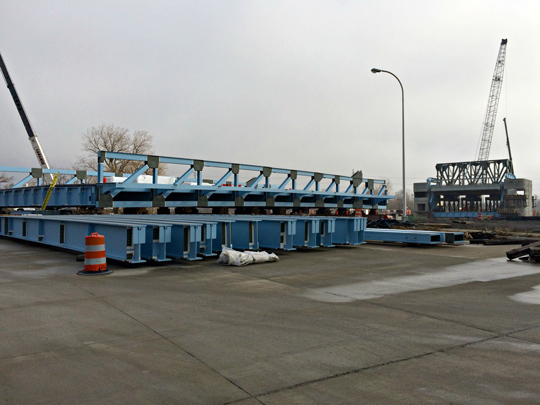 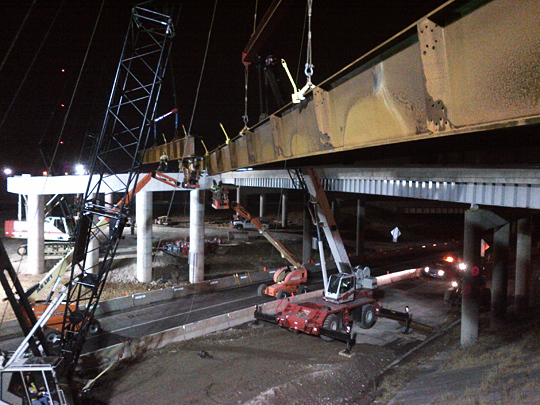 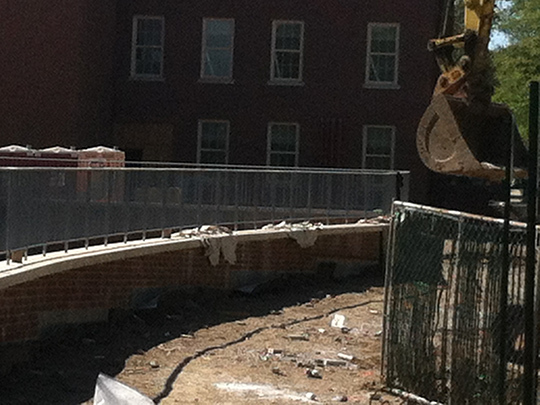 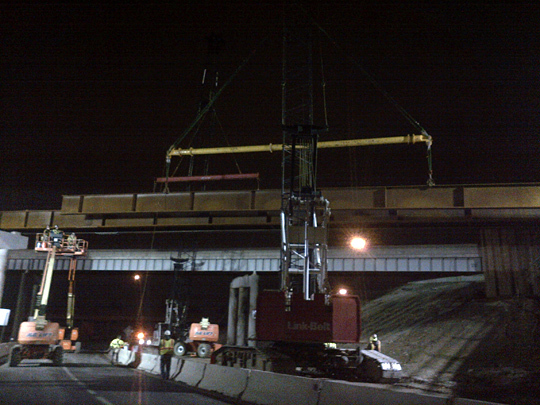 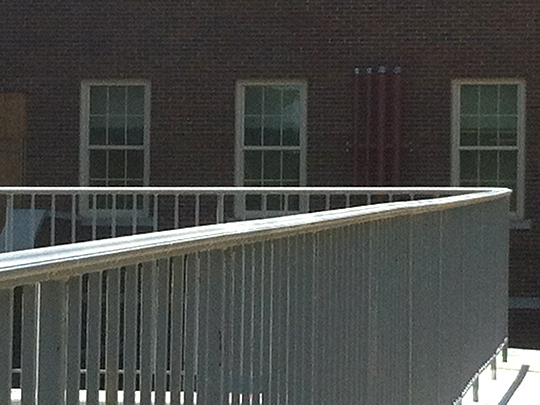 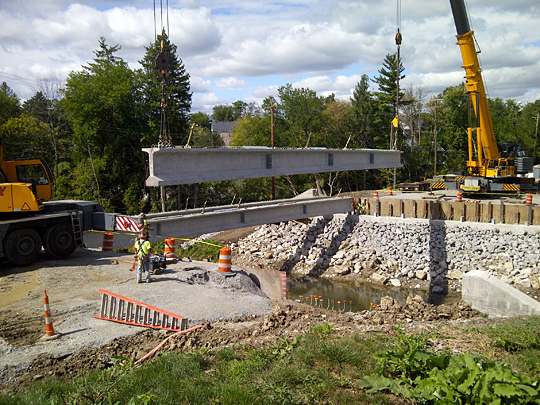 This is a single span pre-stressed concrete I-beam bridge with a concrete deck.